Once a year, Grace and Main likes to throw a party in one of the parks downtown. We call this celebration “Downtown Jubilee” because it calls our minds back to the Jubilee taught in the book of Leviticus, when debts were forgiven, slaves were set free, lands were returned to their original owners, and life was balanced again for a little while. The first time we talked about having this party, we were clear about one thing in particular: we didn’t want to have just any party. We wanted a party where grace is thrown around with abandon and we can celebrate all those things worth celebrating that get overlooked. We didn’t know how we would do it that first year. With the few leaders we had then, it seemed an overwhelming task to throw a party like that. After much prayer, we believed that God was calling us to have Jubilee in downtown Danville even if we still didn’t know how it was going to happen. We knew that, “If God is calling us to this place, then God will be there when we get there.” So, we set out with faith that God would show up to the party. As spring came around that year, the details were whittled away and we hosted our first ever Downtown Jubilee. There was music, dancing, and plenty of hot dogs, but most importantly there were new relationships forged by celebration. At one end of the park we played games in a fire hydrant’s spray while at the other end of the park we hosted a “free flea market” where folks could either give away or take something they saw that they might need. We gave away six bicycles, several pieces of furniture, boxes full of clothing, and lots of toys and books. We had face painting, games, and prizes galore for children. In that neighborhood, we discovered that sometimes grace looks and tastes an awful lot like a quickly melting ice cream sandwich. We recently had our third annual Downtown Jubilee. We’ve always depended on partners like Spin Bike Shop (present at the first Jubilee in those bikes we gave away) and First Baptist Church of Danville (one of our first congregational partners) to make this party happen. This year we expanded on that dependence. We had representatives from five different congregations: First Baptist Church of Danville, Ascension Lutheran Church, Mount Vernon United Methodist Church, Chatham Baptist Church, and an as yet unnamed church plant in a nearby neighborhood. These blessed folks joined us in their own particular ways to take this party another step in faith toward where God is working in our midst. Years ago, before we even knew what it would look like, we called this party “Downtown Jubilee” because we had hopes—hopes that it might be a dim reflection of God’s Kingdom among folks who needed more celebrations and things to celebrate. For a few hours on a Saturday in the middle of May, we stood in that park among so many with whom our little community has shared meals, prayers, struggles, and suffering; our beloved in whom God is moving and through whom God is changing our neighborhoods. 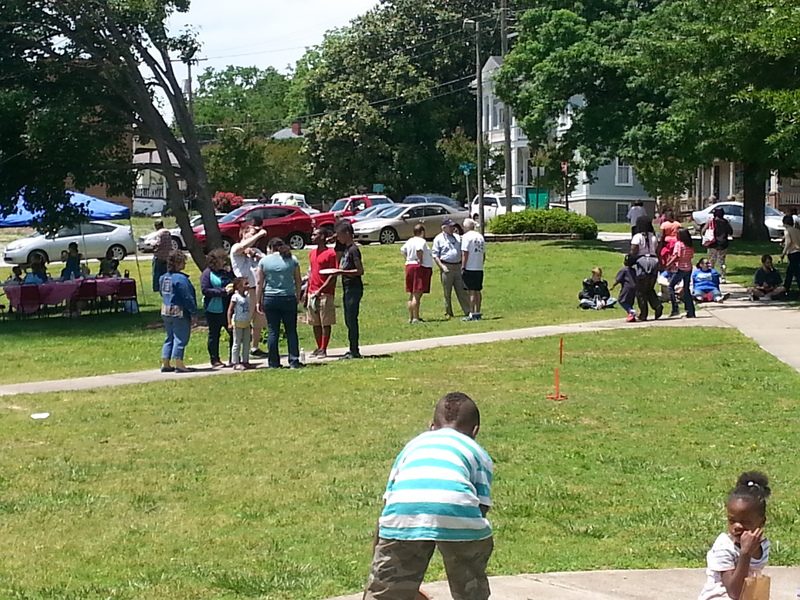 Among former slaves to addictions, we celebrated freedom with chocolate chip cookies and kickball. 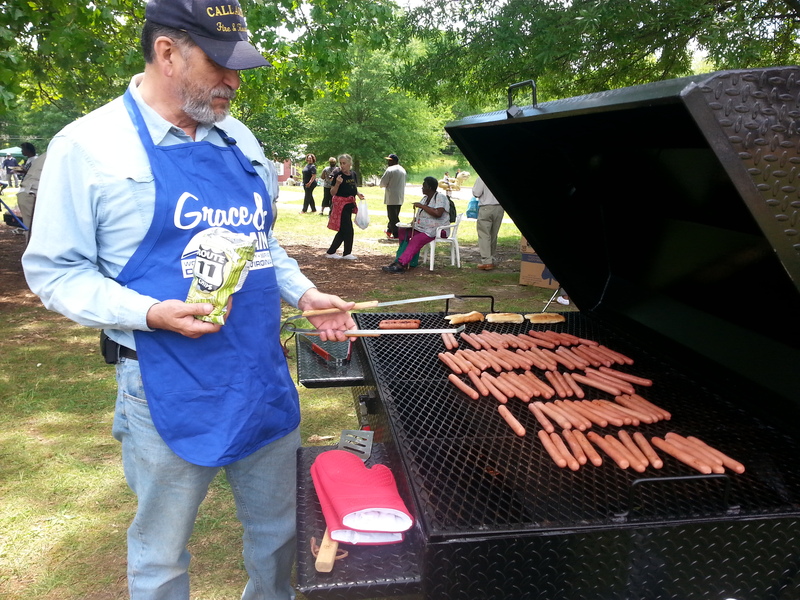 Among the formerly homeless, we celebrated God’s providence with a hot dog and face paint. Among the formerly disenfranchised with whom we’ve had the privilege to stand up to oppressors, we celebrated justice and mercy in equal parts with lemonade and horseshoes. Yes, for just a little while, we partied like the battle was over and the Kingdom of God really was on earth as it is in heaven. As the party faded back into the neighborhood, we packed up our things and headed to our homes a block or two away. For a little while the Kingdom of God was strong in that place, but our God is on the move and working wonders in other places, too. So we’re saying to ourselves again, “if God is calling us there then God will be there when we get there.” We don’t want to miss the next party God shows up to—wherever it may be.